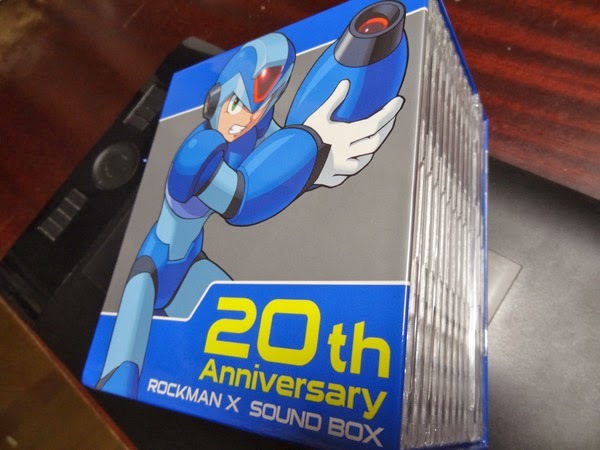 Last year in Japan, Capcom released the "Rockman X Sound Box" in commemoration of the X series' 20th anniversary. At twelve discs and 490 tracks, it contained the music from every game in the series in one nifty package. Now, Capcom US are selling the individual discs digitally. The Capcom Store has just put up the first four soundtracks as digital downloads for $8.95 a pop. That's Mega Man X, Mega Man X2, Mega Man X3, and Mega Man X4. Presumably the other games will come down the road, meaning the complete set could be obtained for a little over $100. Hey, still cheaper than the physical set. Grab 'em in the links above. I hope they put X8's OST. I regret not buying it at Kinokuniya when I saw it. I hope it still has those bonus tracks.